Hey there! Thanks for dropping by Dave Drinks! Take a look around and grab the RSS feed to stay updated. See you around! What can I say other than George made me do it. Paging through the drink book I ran across this dessert concoction… and it has the benefit of making 13 year old boys (or those of us who never fully evolved) snicker. Shake vigorously over ice, fill a Collins glass with ice and pour the liquid over the top. Enjoy dessert. Baileys is hard to go wrong with, nice and thick and creamy, like George. The sambuca adds a fun flavor in the background, giving you a hint of the unexpected, like George. Very sweet, and best enjoyed after a romantic dinner, like George. The name is silly, but the drink turns out to be a little more sophisticated than first appearances. Like George. Have you missed me? It’s been damn near 12 months without a post, and that is completely unacceptable. I know that you have all come to count on me to pick your beverage each time you need something creative. At least that’s what my ego says. But don’t worry – I’ve been drinking all along, trying new things and experimenting by myself – just need to get better with the sharing part! Shake it up over ice, and throw it in a chilled martini glass. For some reason I was expecting this to hit me with flavor, but the reality is that this is smooth and subtle drink. The Sambuca is a nice touch, you can definitely taste it, but it does not overpower the drink as I had feared. 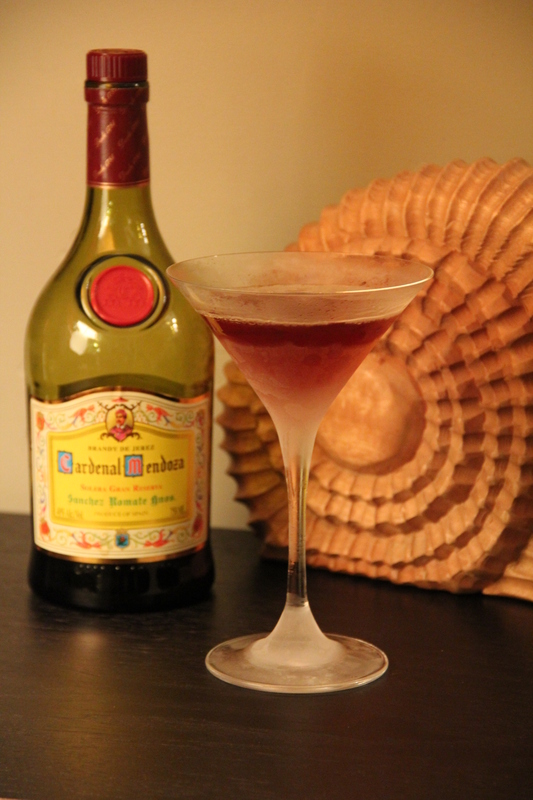 Overall the drink has a nice sweetness and you can still taste the complexity of the brandy. Strength: 5/10 – all liquor, but not in your face. A pleasant surprise, I am sure that if I was a Sambuca man that I would have an even higher rating for this cocktail.